CENTERGATE!!! Great location. A lovely and spacious 2BR/2BA villa. Light and bright with 16" neutral tile throughout. 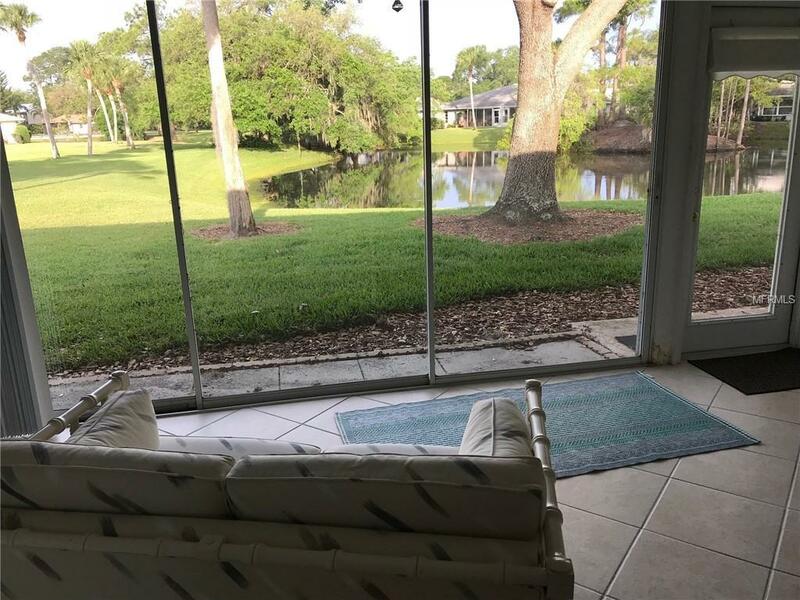 Water view and green space as you look out from the 16 ft. x 9 ft. Florida room to a serene area and community pool off to the left. Five fans throughout villa. Most of the appliances are Stainless Steel. View from kitchen window looks out to arbor and flower garden. Laundry room right off the kitchen and then out to the double 20 x 20 garage which has a new top of the line floor finish. Villa has a very large Living room/Dining room combination. Double vanities in the large Master Bath - 14 x 12with a remolded tile shower. Walk-in closet in master. All the windows are hurricane rated. 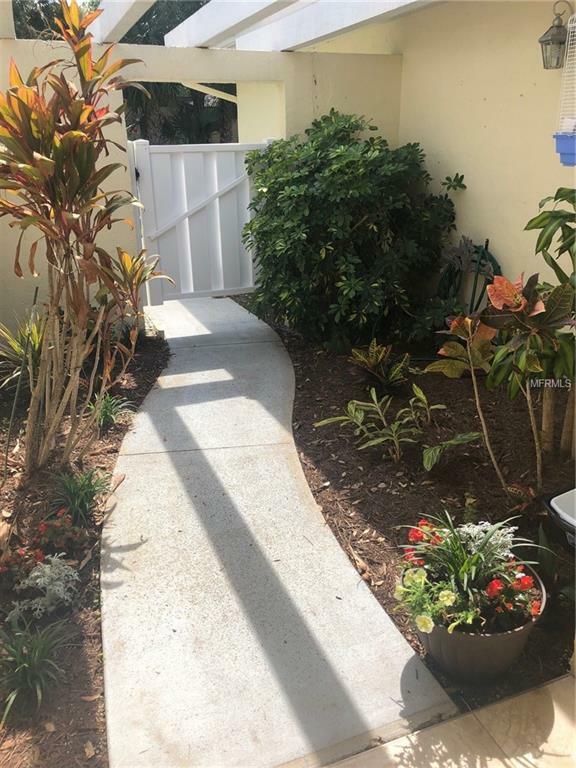 Walking distance to shopping, restaurants, six miles from Siesta Key Beach 7 miles to downtown and quick access to I-75. 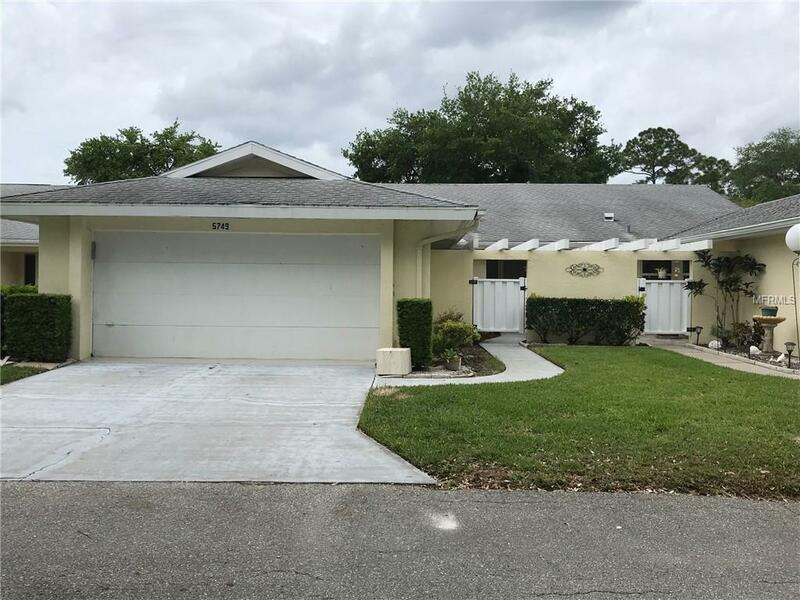 Come see this lovely home!